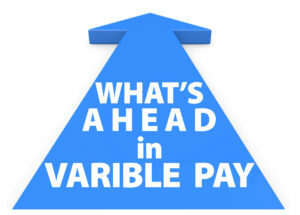 Variable pay has evolved greatly over the past five to 10 years, and is expected to change more in the future. However, variable pay programs and changes to them have not occurred without challenges. Prior to the 1970s, the concept of the annual bonus was primarily reserved for the executive level and based on discretionary payments for accomplishing individual objectives. The need for employers to better control their fixed costs led to variable pay in the broader workforce. Organizations also saw that these programs were effective in focusing employees on critical objectives, motivating the achievement of desired results, influencing the way they performed their work, and helping to better align programs and work efforts with the organization’s mission and strategy. Variable pay has been on the leading edge of one of the foremost changes in compensation philosophy since formal compensation programs were introduced. It has been driven by shrinking expenditures on salary increases, rising cost of employee benefits, and large increases in funding and expenditures on broad-based employee bonuses. Since variable pay increases do not add to, or compound, future costs and are usually dependent on performance results, companies have expanded their overall compensation investment with greater spending on variable pay. During the past 25 years, salary increase spending has been cut in half (from 5.5 to 2.8 percent of payroll), while funding for bonuses has tripled (from 4.2 to 12.8 percent of payroll), according to AON Hewitt surveys from 1990 to 2017. Variable pay has filled the gap this created in compensation growth. The shift in spending from salary increases to variable pay has been in parallel with the expectation that bonus programs would become much more important for achieving pay for performance. Initially, broad-based bonus programs focused mostly on organizational goals. Profit-sharing and gain-sharing plans were early examples. In recent years, there has been a drive to create a stronger line of sight in variable pay plans by incorporating greater managerial discretion and a greater focus on individual performance. 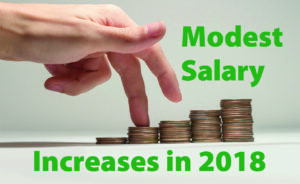 Recent trends and approaches in variable pay programs show several future directions. Organizations will break away from one-size-fits-all plans to ones that have a small common enterprise-wide component and varying measures and weights intended to better measure the performance of a business unit, function or department. Calibrated plans will take the place of homogeneous plans, and we will see more winners and losers within the organization based on different levels of achievement. Greater use of qualitative measures will also increase. Early generations of incentive plans relied heavily on quantitative measures. There is a growing recognition that critical outcomes and employee behaviors can be enticed by programs that do not use quantitative formulae. However, these qualitative measures may not be always precisely measured. In the future, almost all variable pay programs will increase or decrease payouts based on individual performance achievement. In the next 5 to 10 years, this will become a mainstay in pay for performance plans. Levels of spending on broad-based variable pay plans will also continue to increase as organizations expect it to continue to grow. This will most likely be the result of shifting funds from other rewards programs, such as salary growth and some benefits programs. Variable pay programs have their difficulties. Many organizations struggle to identify the right measures and weightings. Some have too many measures, which leads to diluting their relevance. Some have too strong a reliance on quantitative goals, where measuring outcomes qualitatively may better represent the organization’s strategic goals. And some are stuck on historical measures that have been used in the past and are unwilling to give them up. 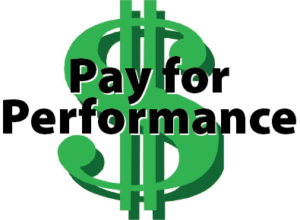 More organizations are implementing an individual pay for performance component to their programs. But according to the recent AON Hewitt survey, employers have had no greater success in differentiating rewards by performance level than what they have experienced with their salary programs. The keys to successfully implementing a pay for performance component of variable pay plans is the quality of goal setting, manager training and accountability for differentiating, and the ability to define differences in employee performance. 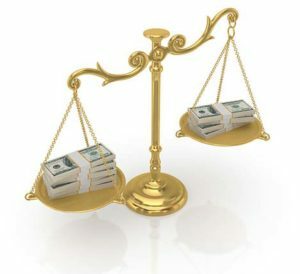 Effective communication of variable pay continues to be an area of difficulty for organizations. Employees must know what is expected of them, and it should occur at the beginning of the planned year. Additionally, it is critical that employees receive feedback throughout the year. Furthermore, periodic feedback of results vs. organization-wide goals should occur at least quarterly. Evolving Role of Variable Pay. In the past two decades, variable pay has gone from applying to only the top executives to the primary driver of pay for performance for all employees in the organization. The concepts of variable pay continue to evolve as organizations push them down further in the organization. What will not change is the growing importance of variable pay and the expectation for shaping employee behaviors and motivating the achievement of key business outcomes. Please contact me at nlappley@lappley.com or (847) 921-2812 to discuss any comments or questions you may have regarding the implementation of variable pay programs in your organization. Feel free to forward this email to anyone else who may be interested. Low unemployment and a looming labor shortage means employers have to work harder to attract and retain top talent. Across gender and education levels, salary and benefits are the most important factors when job seekers are choosing an employer, according to research conducted by Randstad North America. It is becoming a candidate-driven market again, and job seekers have more tools to determine if they are getting paid what they’re worth. A recent survey by Gallup asked the question: “What do workers want most out of their job and their company?” The answer can help companies develop better retention strategies. It can also give insights into why employees may join the organization. Gallup asked employees how important certain attributes are when considering whether to take a job with a different organization. Although the reasons for changing employers are often multi-faceted and typically include the ability to do what they do best and greater work-life balance, a significant increase in compensation is one of the most important reasons. Roughly four out of 10 employees (41 percent) say a significant increase in pay is “very important” to them when considering a new job. Specifically, more male employees than female employees say this factor is “very important”. Not surprisingly, more millennials and Gen Xers, than baby boomers, rate this factor “very important” in a job search. 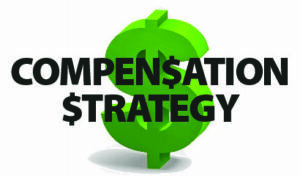 Developing a Compensation Strategy – Organizations develop a compensation strategy to better understand how pay supports the overall strategy and culture of the company. A compensation strategy will describe targeted levels of competitiveness for salary, incentives and benefits; the organization’s approach to pay for performance; and how pay programs will be communicated. Compensation Market Competitiveness – Companies regularly assess the competitiveness of their compensation programs by comparing themselves to market. Consideration is given to who they compete with and who they hire from and lose employees to. 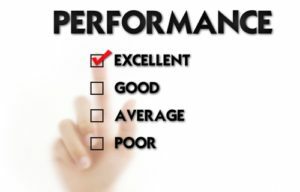 Salary Plan – As my colleague Rich Sperling and I have stated in our presentations to senior management and human resource groups, merit increases to top performers and high-potential employees ought to be at least twice the amount given, on average, to fully-competent employees. For example, with an overall salary increase budget of 3 percent, 20 percent of employees can receive an average of 5 percent, while the remaining 80 percent receives an average of 2.5 percent. 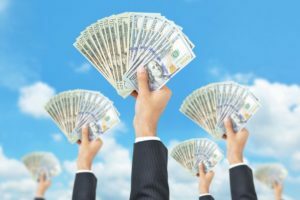 Incentive Compensation Programs – Companies are slowing moving to increasing the number of variable pay plans for two important reasons: 1) to reward employees for achieving corporate-driven objectives, and 2) to reduce fixed costs. Now is a good time to review your organization’s compensation strategy and determine if its goals are being met. If yes, great and continue on track. If not, re-evaluate your compensation strategy to determine if it remains appropriated and review pay programs to ensure they are in accord with your strategy. In this issue of the Salesforce Alert newsletter, my colleague, Tim Weizer, shares a case study regarding a strategic change that helped achieve effective salesforce results. The senior sales executive of a middle-market financial services company was puzzled. Key accounts of the firm had often said they were satisfied with the company. Yet the company failed to achieve one of its major objectives: getting deeper penetration of those accounts with a new marketing strategy emphasizing new products. Individual interviews were conducted with selected key accounts at the vice president level. The answer to the puzzle was expressed clearly by one strategic account. “I want your salesperson to know me, my business, and how your products can provide solutions to my problems,” he said. 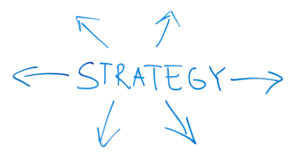 Strategic accounts now demand this value proposition from their major suppliers. Here are the five steps the company employed to address the situation. The account’s business as the account sees it. How the company is viewed as either a problem solver or a product pusher. How the account’s life would be different if the company no longer existed. Step 2. Get commitment from the company’s executives that major change in the company is acceptable within the company’s risk-averse culture. Armed with the above strategic account input, the sales executive developed an initial estimate of what additional sales and profitability could be expected from addressing this value proposition. He then got management’s agreement to be open to change the process of how it sells to strategic accounts. It was clear that without this upfront commitment, no significant change would occur. Without commitment, he knew it would be futile to proceed with any further analysis and financial estimates. The steps involved in the traditional selling process. The time spent with the account’s VP and different operational executives. How well the sales skills/abilities/competencies matched up with the account’s needs. How well the sales organization was managed and rewarded for both existing and new products’ results. An online salesforce effectiveness survey was included in this step to get the field’s input on a number of topics key to their work with strategic accounts. The company then developed two options: (1) start a new sales group focused on the strategic accounts’ VP level and add a technical specialist to address questions on the spot, or (2) upgrade the existing senior sales representatives with current new product, technical, and solution selling training. A second and more detailed estimate of additional sales and profitability of each option was prepared. Step 4. Present each option and a recommendation to the senior management group. Include an implementation plan for the recommended option. The sales executive recommended the formation of a new sales position focused on the VP level along with the formation of the technical specialist position. HR working with the VP Sales developed a team-based compensation plan for this new structure. Particular attention was given to ensure that the new plan did not create unproductive conflict or misaligned objectives between jobs. Step 5. Get Started. Begin showing the strategic accounts that you are addressing their value proposition. The sales executive began with a pilot of the new sales position, the technical specialist, and a small cross-functional team. The sales executive also conducted two solid months of training for the team that would be supporting and visiting the strategic accounts. Results have been better than expected. 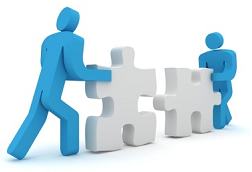 New products sales to the strategic accounts in the pilot group are up and the teams are working well as a unit. If you would like to discuss this case study or address any questions, please contact Tim at tim@salescne.com or simply reply back to this email to reach Neil.